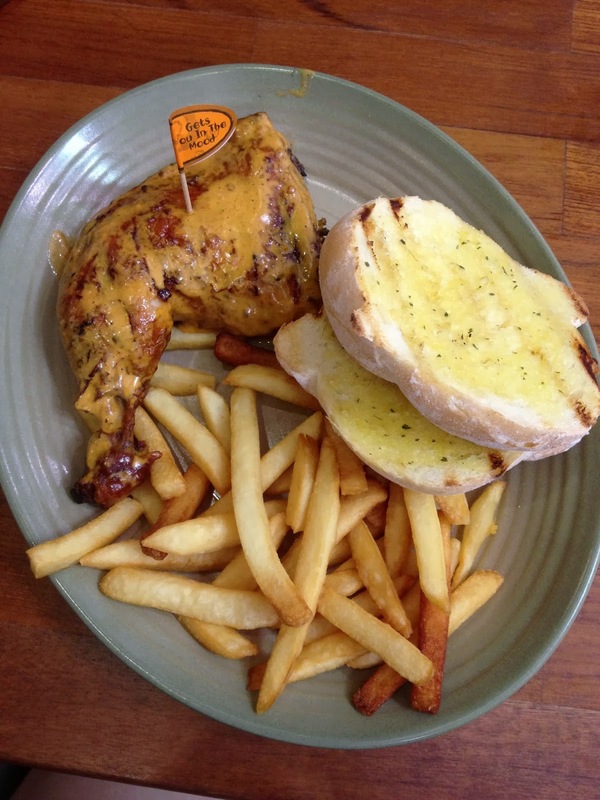 I decided to head out for a good lunch at Nando's cause I was missing their Extra Hot Chilli Sauce. I had the 1/4 chicken, fries and garlic bread which was more than enough for me. The chicken was tender and the grilled skin was tasty. Just thinking about it makes me hungry. Decided to watch Robocop since it has been some time that I watched a movie in cinema. Robocop was a pretty good movie that kind of touched my heart. If you are talking about action, it can be better by adding more scenes to keep me off my seat. The whole robo-human thing isn't workable (yet) so I do find it a little exaggerating.